What is the Regulatory Reform (Fire Safety) Order 2005 (FSO)? The Regulatory Reform Order (Fire Safety) 2005 (FSO) came into force on 1 October 2006, and replaced over 70 separate pieces of fire safety legislation. It gives responsibility to those who are best placed to address fire safety and ensure that risks – which necessarily change over time – are kept under review. Under the FSO a ‘responsible person’ (usually the owner, employer or occupier of business or industrial premises) must carry out a fire risk assessment. Responsible persons under the Order are required, following a risk assessment, to implement appropriate fire safety measures to minimise the risk to life from fire; and to keep the assessment up to date. What are the benefits to businesses? The purpose of the FSO is to simplify fire safety legislation and reduce the number of enforcing authorities that businesses have to deal with. The FSO abolished the requirement for businesses to have a fire certificate and replaced it with a duty on a ‘responsible person’ (usually the owner, occupier or employer) to carry out a risk assessment and implement appropriate measures to minimise the risk to life and property from fire; and to keep the assessment up to date. The FSO places a duty on a ‘responsible person’ (usually the owner, employer or occupier of business or industrial premises) to carry out a fire risk assessment. Responsible persons under the FSO are required, following a risk assessment, to implement appropriate fire safety measures to minimise the risk to life from fire; and to keep the assessment up to date. It is a good idea to keep a written record of what you find in your risk assessment. If you employ five or more people (including any who work part time), the law says you must keep a written record of significant findings. Keeping a record will save you time and effort when you come to review and update your fire risk assessment. It will also show that you have carried out a risk assessment if your premises are audited by the Fire and Rescue Service. Yes. We believe that, in many cases, those with the responsibility for premises are likely to be best placed to maintain fire safety precautions and understand and address the risk to lives and property that fire represents to those working there or visiting. Yes if you are an employer, owner or occupier of business or industrial premises, or if you have some degree control over any commercial premises. Under the FSO, the duty to carry out and implement a fire risk assessment lies with the responsible person. Achieving fire safety is often a matter of common sense, and in many cases there may be no need for specialist or formal knowledge or training, providing the responsible makes enough time available to go through all the necessary steps. In carrying out a risk assessment, however, the responsible person may decide that, given the nature of the premises or the people involved, they do not have the necessary competence to discharge their duties under the FSO. In that case, they could choose to appoint one or more ‘competent’ persons to assist him/her. The level of necessary competence is not prescribed in the FSO, which recognises that the extent of competency will vary according to the nature and complexity of the premises involved. Responsible persons can get help and assistance from whoever they think competent to help them, and this includes being able to get advice from their local fire and rescue authority but they cannot carry out the risk assessment for you. The Department for Communities and Local Government have produced a series of detailed technical guides for a range of specific types of premises. These are designed to help ‘responsible persons’ understand the risk assessment process and provide advice on every aspect of fire safety (eg, training, fire detection systems, emergency escape routes, etc). In addition, we have produced a shorter entry-level guide to explain the FSO to responsible persons. Further guidance is available on this website. However in some instances you may feel you require more expert advice. Companies providing fire safety services are listed in local directories. Alternatively you may be able to ask your insurers for a recommendation. What is a competent person under the Order? The term ‘competent person’ is contained within three articles of the Order. These deal with fire fighting and fire detection; procedures for serious and imminent danger and for danger areas; and safety assistance. In each case the term is explained as referring to a person who has sufficient training and experience or knowledge and other qualities to implement the requirements of the article. How often should I do a risk assessment? You should keep your fire risk assessment under regular review as risks may change over time. If you make changes to your premises, you should ensure that the assessment and risk management plan remains current. What happens if I share my premises with others? If you share a building with others, you will need to co-ordinate your risk management plan with them. If your plan changes as a result of a review or changes you made to your premises over time, you will need to share the revised risk management plan with others who share the premises. The FSO abolished the requirement for businesses to have fire certificates. Instead, the FSO seeks to ensure that businesses actively pursue and maintain fire safety and take responsibility for their staff and others visiting their premises. Does the fire risk assessment require measures such as fire escapes, fire alarms, fire doors or sprinklers to be in place? There are likely to be a range of prevention and protection measures possible in an individual premises and the FSO allows the responsible person to decide which would be most appropriate in the light of the premises and those who may be on them at any one time. Providing the fire safety measures are adequate to mitigate the potential risk, it is for the responsible person to decide from the range of available options. Am I responsible if my fire safety equipment fails? Under the FSO all fire precautions must be maintained in efficient working order and good repair so if any failure is due to lack of maintenance, then you could be held responsible. However, where maintenance contracts exist for the equipment, the enforcers may take action against the contractor. What does the FSO expect of Fire and Rescue Authorities? 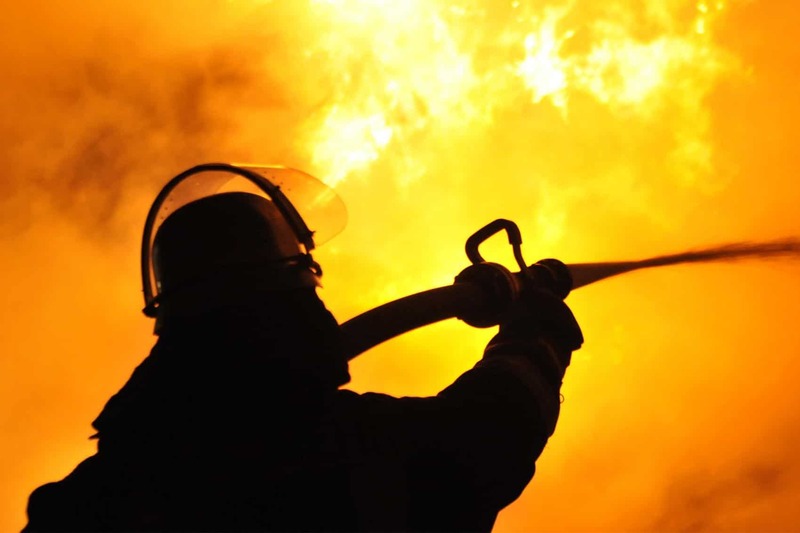 Fire and Rescue Authorities are required under the FSO to audit business premises within their local areas to ensure compliance with the requirements of the FSO and that adequate fire safety measures are in place. In addition, Authorities have a duty to provide fire safety advice when requested. In delivering their audit and enforcement duties, Fire and Rescue Authorities are expected to act openly and in proportion to the identified risk, and wherever possible, to allow the responsible person a reasonable timeframe in which to implement any fire safety improvement. Will the Fire and Rescue Service inspect my premises? Possibly. Fire and Rescue Authorities as the enforcing authorities for the Order are expected to develop appropriate risk based inspection regimes within the context of their Integrated Risk Management Plan (IRMP). How each Authority carries out its statutory duties is a matter for local discretion. What happens if I don’t comply with the legislation? Fire and Rescue Authorities will, where necessary, offer support and advice on how best to improve fire safety arrangements. In doing so, they will take account of measures which are proportionate and reasonable to the identified risk. In cases where a serious risk exists and is not being managed, Fire and Rescue Authorities have a statutory duty to enforce compliance with the FSO. Fire and rescue services will, where appropriate, give you support and advice on how to improve your fire safety. They must consider measures that are proportionate and reasonable to address the particular risks they find at your premises. If the risk is not immediate or high, they can agree with you an appropriate time period to make the necessary improvements. If you do not make the recommended improvements within the agreed time, or if the fire and rescue service finds a serious fire risk that you are not managing, they have a legal responsibility to make sure you comply with the law. If necessary, they can take you to court. The first step is for the fire and rescue service to serve you with an enforcement notice, which means you have to make specific improvements in a specific time. If during an inspection, an inspecting officer finds that the fire and rescue service is likely to give you a formal enforcement notice, in some cases you may be able to arrange for an informal review by a more senior manager in the fire safety department. You are able to challenge an enforcement notice in a magistrates’ court and it is quite simple to do. You will have 21 days from the day you are given the notice to appeal. If you think an appeal may be appropriate, you may want to get legal advice from a solicitor. In some cases you may agree with the fire and rescue service that you need to improve your fire precautions, but you cannot agree on what action you need to take. In these circumstances, you and the fire and rescue service may agree to approach the Secretary of State, who will decide what fire precautions you need to put in place. This process is called a ‘determination’. Both the fire and rescue service and the person responsible for fire safety on the premises have to agree to approach the Secretary of State. If the fire and rescue service think a determination might cause a delay which would put people’s safety at an unacceptable risk, they can decide not to seek one. In this case, you would have to appeal in the courts. Each FRA is required by law to identify risks in its area. It will have a plan for reducing and managing these risks based on its local profile. Each FRA must use its professional expertise to decide whether the fire safety measures that are in place in any particular premises are appropriate, and would protect adequately, people in a fire. Because of variations in, for example, the age, size, construction, layout or use of a building and those likely to be in it, there can be no ‘one size fits all’ approach to fire safety. All premises are different as are the people who own, manage, work and stay in them. What may be considered appropriate in one, may not be good enough for another. The Department for Communities and Local Government has published an ‘Enforcers Guide’ to help FRAs better understand their duties under the FSO and for the public to better understand the intent of specific aspects of the FSO.